When I was little I used to love it when the bananas would get old and black on the counter because that meant my mom would be making banana bread soon. The recipe came from an 1896 classic, The Fannie Farmer Cookbook, which is still in print today. This is one of those old cookbooks that not only conveys recipes but also teaches how to do just about anything with cooking. 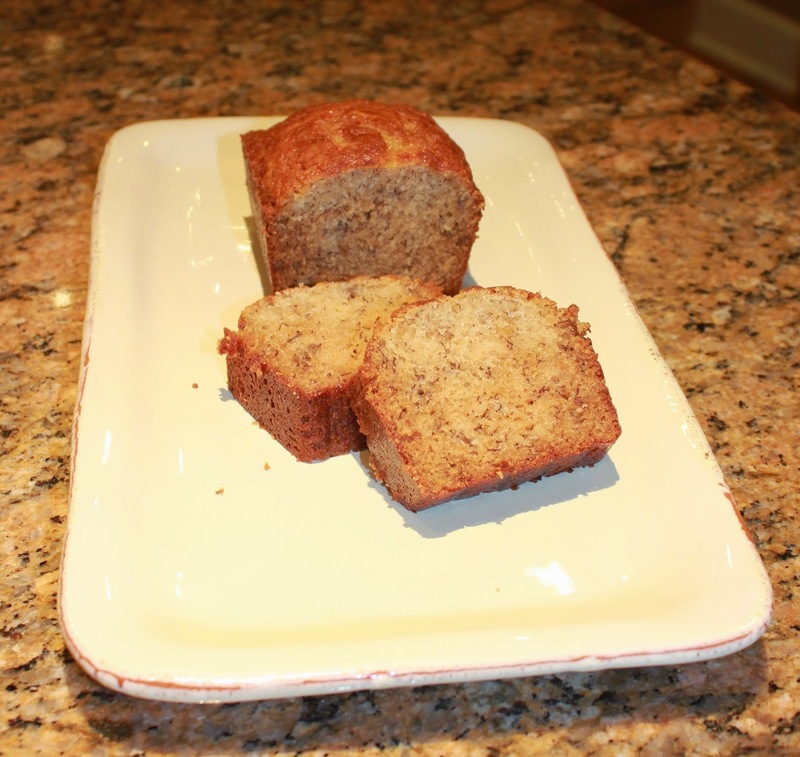 The recipes are tried and true, and this one for banana bread (it's actually called banana cake in the cookbook) is an all-time favorite for generations in my family. My kids now eagerly await the bananas to turn black in hopes that banana bread will be in their future. Here's a break down of the recipe, and trust me, the delicious smell alone is reason enough to try it! Enjoy! Cream the butter and sugar until it is light and fluffy. Add mashed bananas, slightly-beaten eggs and vanilla, and mix just until combined. In a separate bowl, mix the dry ingredients then slowly add them to the bowl. Once dry ingredients are mixed in, add the sour cream and stir. Grease four small loaf pans and fill 1/2 to 2/3 of the way. (I like to use the small loaf pans because the bread/cake seems to cook better throughout. Also, it makes a great little something to give to a friend or neighbor.) Bake at 350 for 40 min. The bread should be a lovely golden-brown on the top. Remove from the loaf pans immediately and let cool. This will be challenging because they will smell so good, and honestly, it's best when it's warm! I like the idea of the smaller loaf pan. Looks great! They are great, and they bake perfectly this way! These are perfect and I'm with Steph - I love the idea of mini loaf pans so that you can share the goodness with family and friends!! They make a great gift, plus this way it makes more end pieces which are my favorite! This is the best I've ever had, and my kids devour them! I love banana bread, though it usually goes bad. The mini loaf pans would really help with being able to freeze and store and only eating what you want.